Gmail recently rolled out a change to their subscribers. Some people hate it, some people love it. I personally don’t care much for it but I’m trying them out to see if they are any better than their previous attempt at this called Priority inbox. So this time, instead of “prioritizing” your email, they decided to categorize all the email you get into one of five categories. You may or may not like this option but chances are you’ll want to customize it. 1. 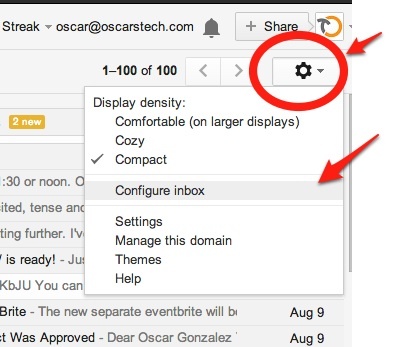 On the right side of the Gmail interface, find and click the little gear icon (a.k.a. Settings). 3. Now choose which of the five available tabs you want to enable—or disable. 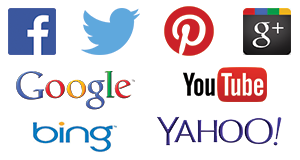 I use all five, and if you wonder what each one is, just read their description. 4. 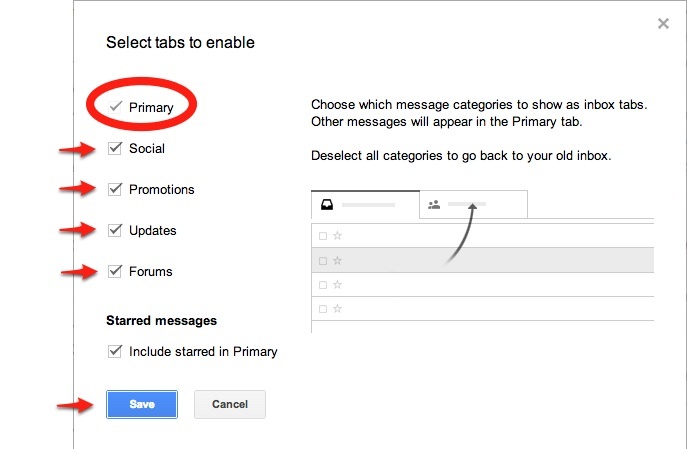 To disable this feature altogether, simply uncheck all the tabs and you’ll have your old inbox back. 5. Once you’ve made your selections, click Save.